It all began with this. Lemon cake, grapefruit curd, fresh fromage, greek yogurt sorbet, and micro basil. The beginning of Spring marks a whole array of fresh produce and new products for chefs to use. Unfortunately this year, the late arrival of Spring leaves much to be desired. The lack of produce as a result of such a cold and long winter leaves one feeling meh. To start off this new season, I decided to play around with the flavors of lemon, basil, and yogurt. Good citrus is still available and I wanted to ease into Spring without having to use the first of the season's fruits. I love to wait until its the height of the fruit season before fully incorporating it into my dessert. Here's to the first dessert of Spring. One of our chefs had made fresh cheese with rennet, and I had a bunch of leftover mise en place. I thought, why not play around with these ingredients? With the City Grit dinner on the horizon, I finalized this vague concept into a full-fledged dessert. 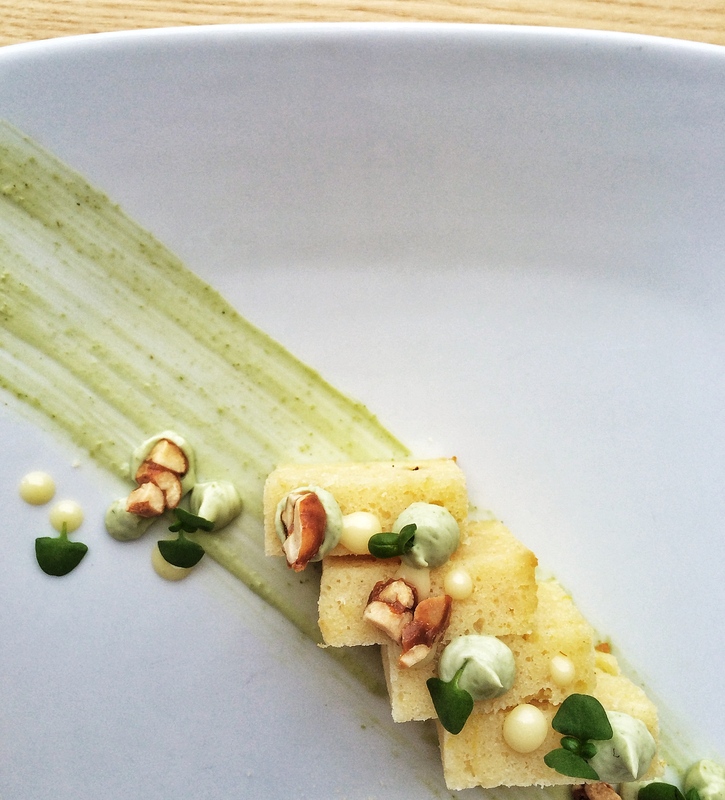 Basil yogurt, honey-roasted peanuts (I know, I'm obsessed with incorporating this into everything! ), lemon curd, cake crumbs (for ice cream), and micro basil. A sneak peak of the final outcome. 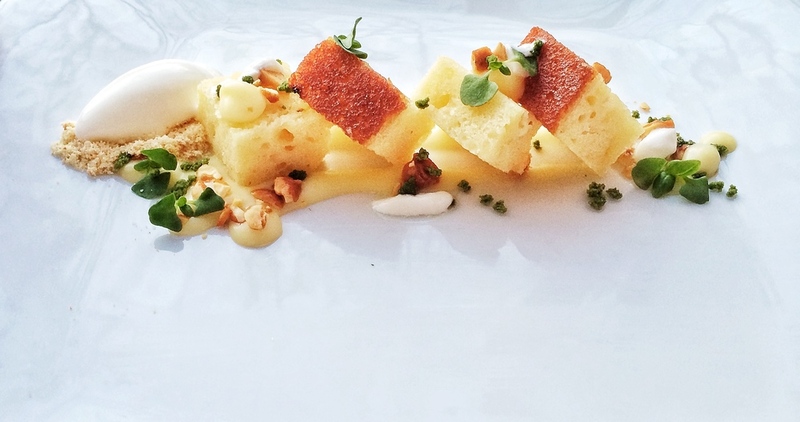 What makes this dessert so delicious is the dairy used from Argyle Cheese Farmers. They have the best yogurt in NY state, which was used in both the basil yogurt and greek yogurt sorbet. 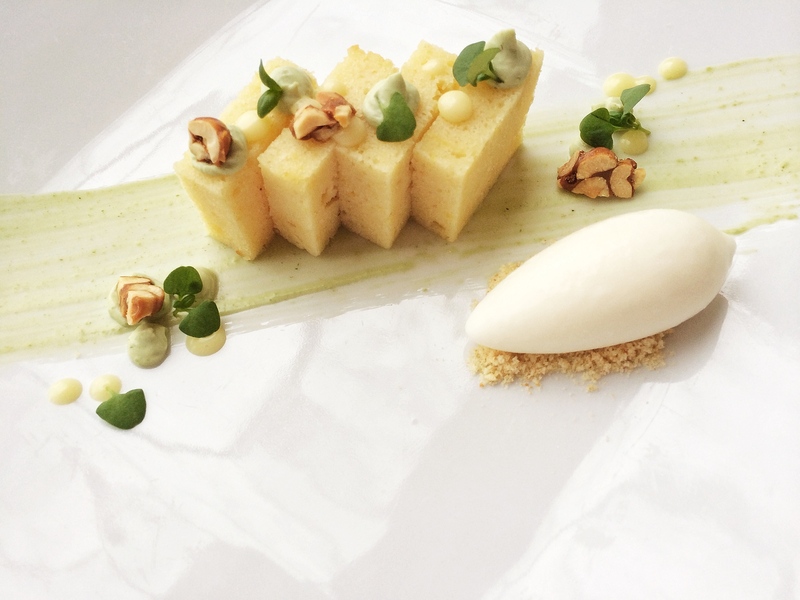 Lemon cake, lemon curd, basil yogurt, microbasil, honey-roasted nuts, and greek yogurt sorbet. Ready for Spring!